Everybody will be saying your name after they see your impressive moves in the pool! 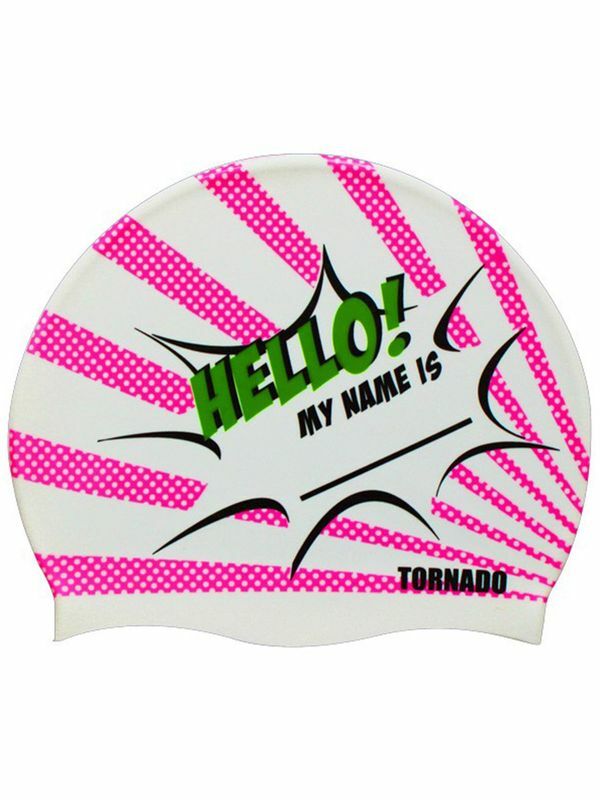 That is why you need the one of a kind Tornado Say My Name Swim Cap! This magnolia white swim cap features bold rays of neon rose with bold pop art style polka dots with a bold burst in the middle with a striking shamrock green “Hello! My name is…” sign over a bold Tornado liquorice black logo. For a swim cap that will get you compliments every time you slip it on!